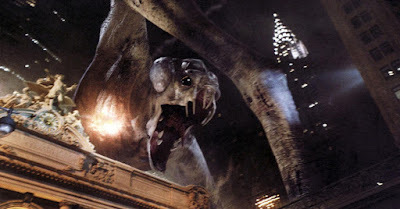 For this 'Ten Years On' post we take a look back at "Cloverfield". It's hard to think it's been ten years since this film was released, the hype around this release was crazy. 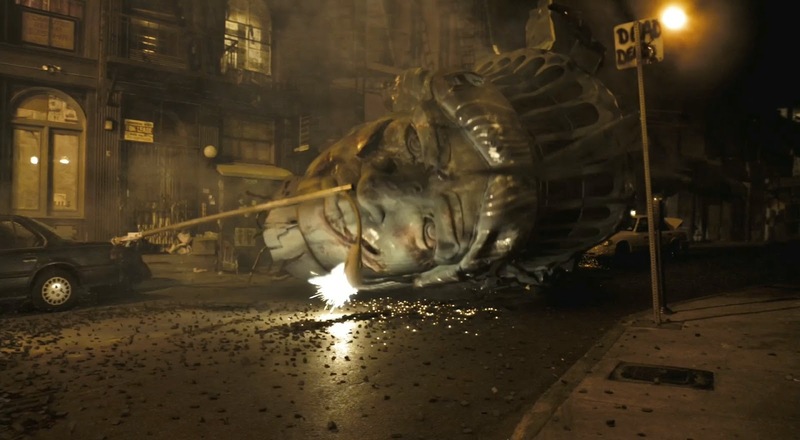 Some of you may remember that when the teaser trailer for this film was released it created a sort of hysteria on the internet, people were trying to decipher what was going on and what it was all about. It's one of the first times I can remember this happening, it really got people intrigued and involved, excellent marketing right there. 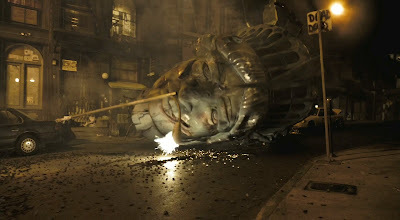 Because of this it was a guaranteed hit before it even hit the cinema, its viral marketing had helped secure that. The next step was whether the feature itself was going to actually be any good, well depending on who you talk to it was either an amazing feature that would change cinema or the worst thing ever made. It's easy to say that this has been one of the most polarizing releases in recent times, many blaming this on the hand held camera style of the feature. Certain theaters posted warning to guests that the hand held camera movements may cause motion sickness, over 100 reports were made of people suffering from dizziness and motion sickness. Personally I absolutely loved the feature, I've always loved a monster movie and this was just that, with a higher budget of course, but I do get why people were put off by the camera work but as a fan of found footage films it didn't bother me. 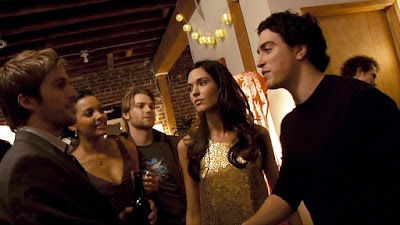 In fact I thought it was used really well and it brought more tension and mystery to the film, something it might've lacked if filmed normally. 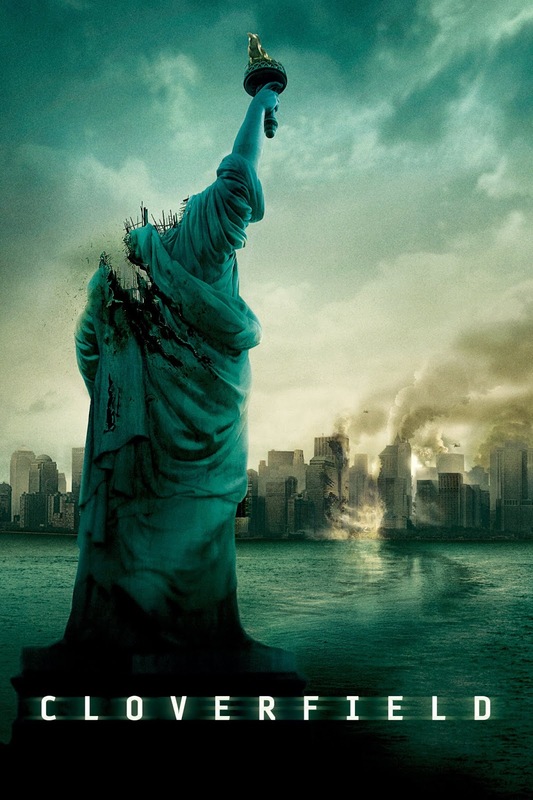 Ten years on and "Cloverfield" is still a polarizing feature, it's series may have expanded but those that loved the original still hold it in high regard, in fact I think it's aged really well.